Now that part two of my Father’s Day Show and Shine coverage is on ill.motion, I can follow that up with the Extras to go with it. I hope you are enjoying these posts; I’m honoured to be writing and taking photos for iM but at the same time I want a little something here on my own blog to keep it active and so that I can link to the iM posts. I thought I’d highlight this first, but not for the car. A few vehicles had small displays and extras to go with them, and here’s one example I liked. 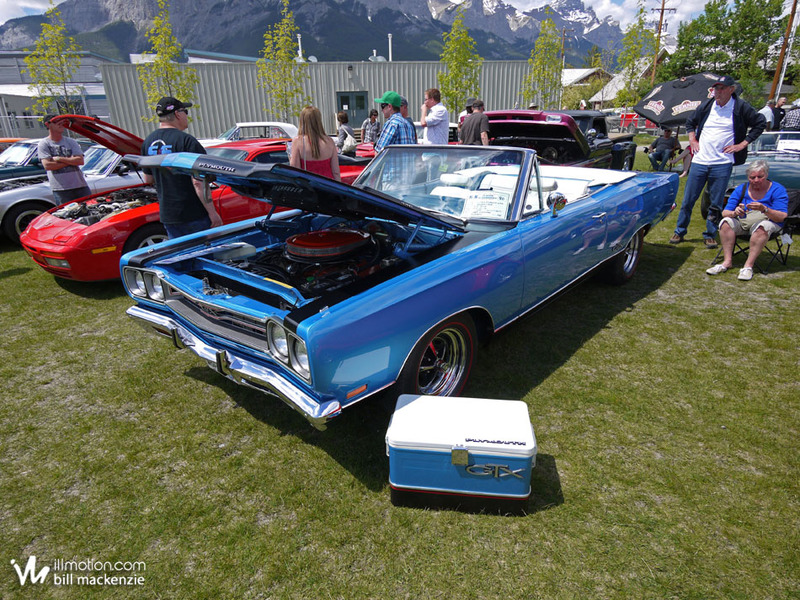 Note the cooler with the matching paint scheme and badges! Very cool (no pun intended). I decided I’d include this Auburn and point out that despite my best efforts (and patience) this was the best photo I got of it all day. There seemed to always be people around it, but it wasn’t really a surprise. This really was a gorgeous car. It took home an award as I recall, though I forget which (sorry!). I didn’t know Ian was attending but after I parked and started cleaning the sedan I saw a yellow hatch further down the row and noticed it was the V6Mistake. Three Foci attended in total (Ian’s, mine, and the dealer’s ST), and all were yellow. 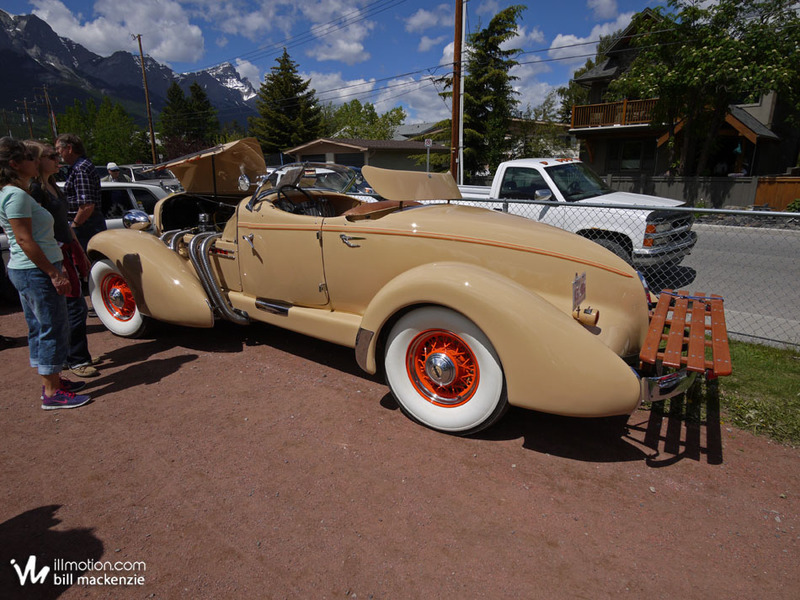 The last for this short post will be this ’40 coupe. It was next to Ian and would have been a very good example of a restored vehicle; if it was one. 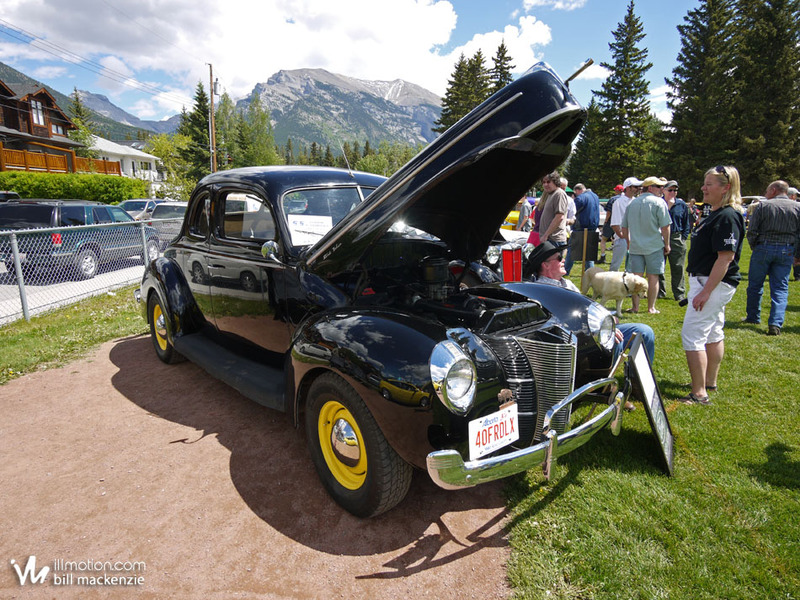 This 73 year-old Ford was an UNRESTORED original – paint included. Wow. It’s crazy to think this is how the car rolled off the line almost three-quarters of a century ago. Since there were only two parts to the iM post there will be only these two Extras to go with them. Next up I have some Beyond meet photos to catch up on!